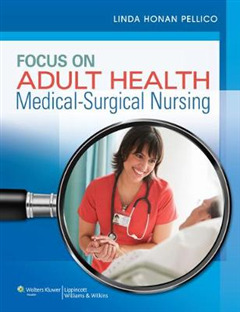 Focus on Adult Health: Medical-Surgical Nursing, is uniquely designed to prepare today's students to succeed as practicing nurses by focusing on the most important medical disorders and key nursing responsibilities. 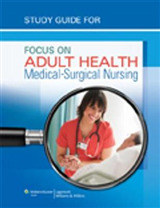 "As the demand for nurses continues to grow, new nurses are entering a dynamic and challenging work environment, and many feel unprepared," said Linda H. Pellico, RN, PhD, the lead author and editor of the textbook. 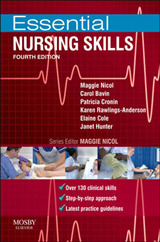 "We developed this textbook and related tools to prepare students for the reality of medical-surgical nursing. We need to teach students how to think like a nurse, and how to focus quickly on the most critical aspects. 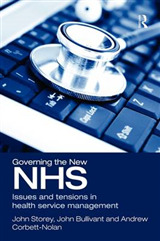 Beyond taking care of what you see, nursing is about predicting and preventing risks, so this book details risk factors, clinical presentation, and treatment." 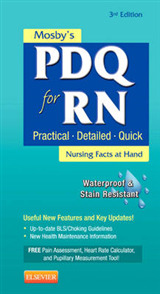 The textbook prepares students for both the NCLEX exam and for daily nursing practice by focusing on the need-to-know content. 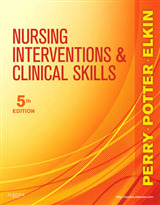 Both the text and the supporting tools include features designed to reinforce student understanding, such as: * Focused Assessment Guides, which summarize key content for quick reference and review, * Guidelines for Nursing Care: Clear, step-by-step "how to" procedures are paired with action rationales to explain why actions are important, * Innovative Art Program: Connects text-based concepts with real-life patient scenarios, * Nursing alerts, evidence-based practice boxes, and risk factor boxes, to keep students engaged and increase their comprehension. Publisher: Springhouse Publishing Co ,U.S.